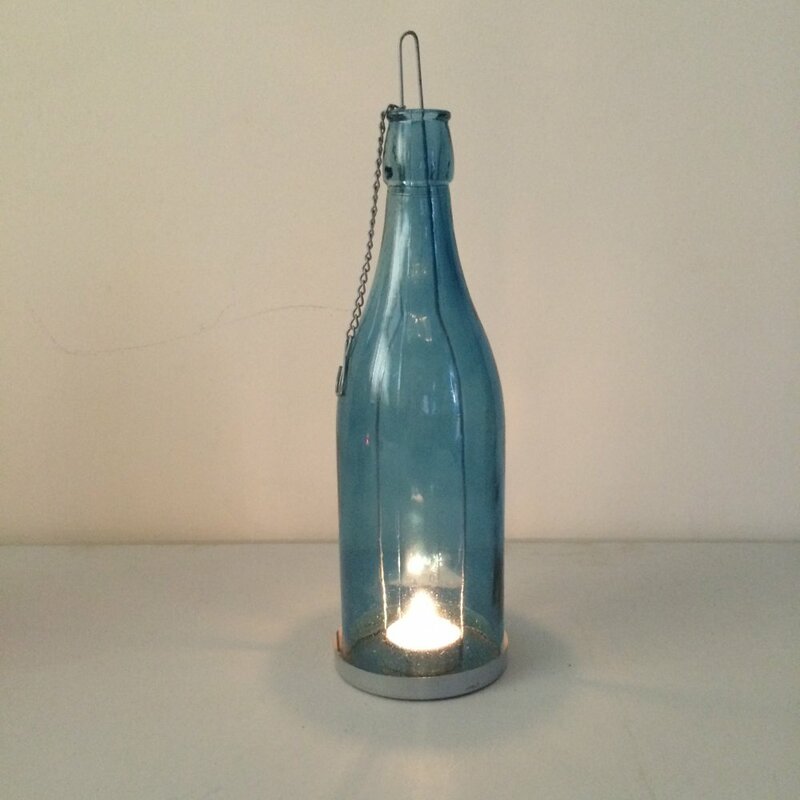 This glass bottle tea light holder is a stunning blue colour. It has a metal base which the bottle sits in and you just lift up the bottle to pop your tea light in. 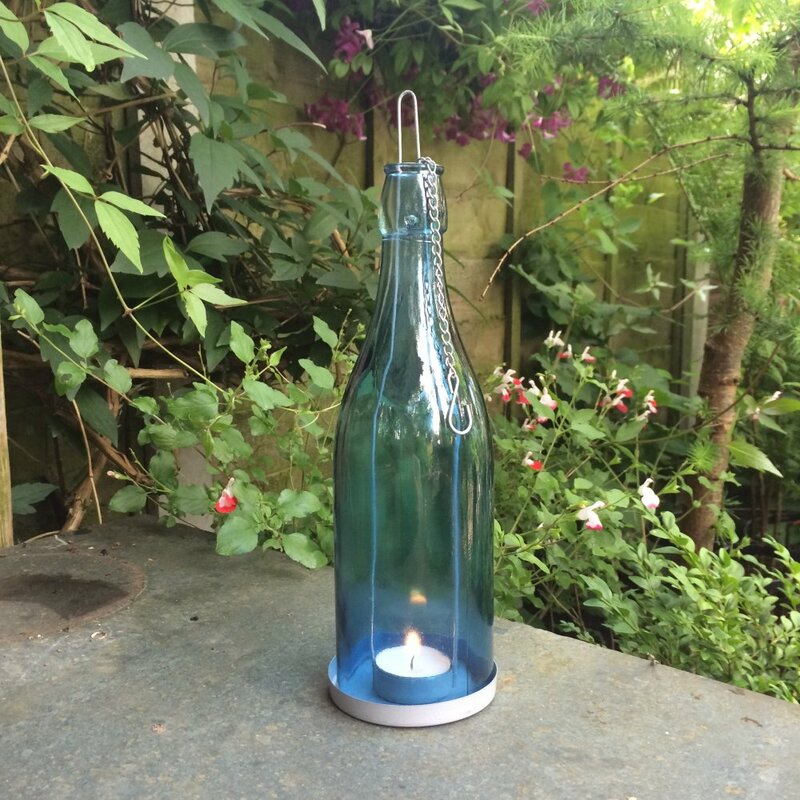 The bottle has an attached metal chain which is great for hanging the bottle tea light holder anywhere in your garden.